Made from a breathable cotton velour material. · Provides lumbar and sacral support. · Eight flexible stays in the rear for trunk control. The M-Brace Mini Lumblock Back Brace (without panels) #582 redefines the idea of comfort while providing pain relief in a shortened height model. The product is made of 100% cotton velour, a natural material that breathes against your skin. 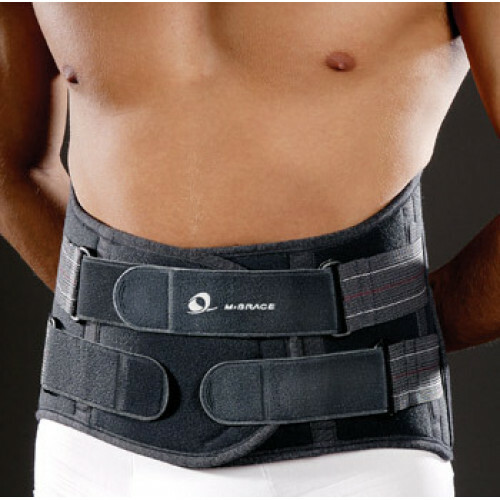 The M-Brace Mini Lumblock back brace has eight flexible metal stays in the rear for providing stability for your lumbar/sacral region. The product closes in the front with interlocking front closure straps that are easily adjustable for enhancing abdominal compression. The low profile design is a favorite of patients along with it's use of breathable materials. 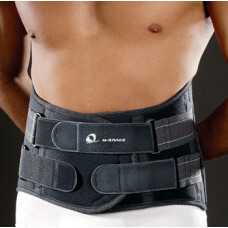 The M-Brace Mini Lumblock without panels has all soft edges and fits nicely underneath or over clothes. It's most commonly used for treating back strains, lumbago, sciatica, and osteoarthritis conditions. Provides effective support in a low profile design. Eight flexible steel inner stays in the rear provide effective support and control trunk motion. Very versatile - provides both lumbar and sacral support. User friendly, adjustable locking system provides enhanced compression around your trunk. Made from breathable materials and cotton velour. Low profile design: Front is 6 3/4" high, back is 10 1/2" high. 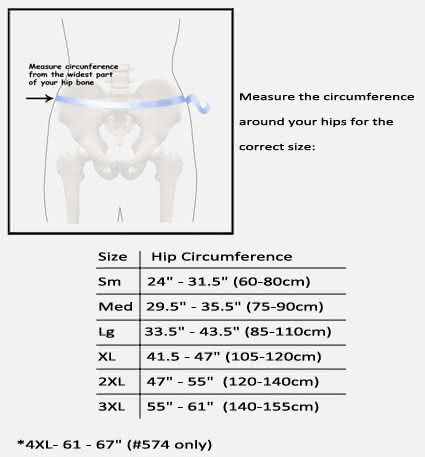 M-Brace 582 is available in six sizes to fit every size individual - see sizing chart tab.